No this is not going to be a hate-ridden post on the obesity epidemic but instead some helpful tips that are easy to implement in your life. 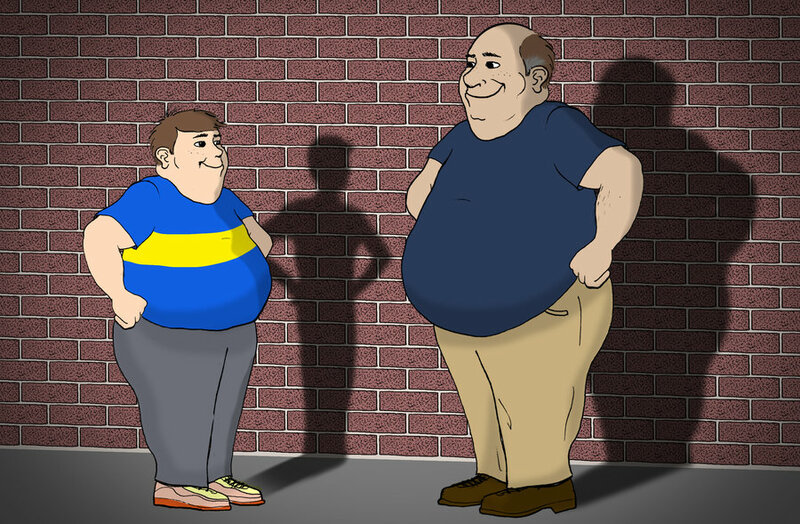 I have seen people who are morbidly obese (300+ pounds sub 6") who did find it in themselves to change their lifestyle as we know it and I am not necessarily talking all about exercise. The main thing that comes into account to weight gain and maintaining weight comes down into how much you are eating. 1. Avoid sugars like the plague. Sugars are death. I can list tons of reasons as to why sugar is bad for you but I am sure you have already heard the whole situation. Bad for your liver, bad for your blood pressure, bad for your kidneys, causes insulin resistance, causes diabetes, cancer, promotes fat buildup, and so on. Mark my words in the next 30 years or so we will look at the sugar industry like we look at alcohol and tobacco industry. 2. Stop thinking in terms of "does this taste good" into: "What does my body need right now?" You will find by changing your thoughts on what is good for you and ignoring what tastes better will change your overall lifestyle. The amount of portions you eat is super important and it doesn't help if the food you are consuming is calorie ridden. All of these are crazy cheap foods and you can make a change without breaking the bank. Yeah yeah I know cheese is really great and all and tastes amazing. I know. It's loaded with calories and not exactly super cheap either. The fatty content of cheese is very high and is a sure-fire way to get fatter without even trying. Keep thinking: "What does my body need right now?" versus "Does this taste good?" 5. Do not be discouraged. Love yourself and love your body for who you are. But do not substitute your fat as being "you". That fat is not you. Underneath that fat is you because you CAN LOSE IT if you monitor your eating. I know you're hungry. It's tough and it's even tougher getting out of the habit of eating too much. You must force yourself through a month of hell to make it happen. You know how much it is to fill you up. Take in half of that and watch the pounds fly off without lifting a finger. Portioning by American standards are way out of proportion and is not normal or condusive to your well-being. I'm sorry if my article came off as offensive or if you were offended in any way. I just wanted to share some tips and secrets that I have found to be successful and that everyone can implement these to become a better healthier version of you! Just lower your food intake. Are you hungry? Eat JUST enough you stop being hungry and move on. Try hold on to the next meal and repeat. Can't hold on? Eat an apple or some other fruit to carry you over to the next meal. Also, try replacing sugar with honey.